EconomicDeveloper | Thriving and Surviving in an Unpredictable Economy! ~ Thriving and Surviving in an Unpredictable Economy! As many of you know I spent the last few months coaching and working with several people in the development of their first book idea. It was an true learning experience for me. I had a pretty good test group three women and three men. In the end, I feel the time was well spent. My biggest problem is that I regretfully do not have enough time to spend on properly coaching these folks any further. I do wish them all the best and I of course will remain supportive and available to answer any questions they may have so that they can see their idea through to fruition. If I could offer one suggestion to any would be author… it is as follows. You have to put in the work and effort to learn how to write and express yourself. Your story and idea is one that is very special to you. It must be that passion that drives you. If the end product is you just want to have a book written so you can acclaim to being an author there are many services that will do that for you. Those efforts are generally pretty pricey and can get quite expensive. In the end, if you do not put forth the effort of writing you will not truly learn the art and nature of being a real author. An author pours their heart and soul into their work and uses the pen (keyboard) to express those passionate ideas. It must be owned by you. Coaching allowed me to find out and truly appreciate my profession of being an author. It also taught me that being a patient teacher is not something I am well suited for. I have found great joy in assisting two others in getting their work published. I have given copious notes to many budding authors… that is something I do enjoy, hence the reason I wrote the book on how to get published, now in it’s 2nd edition. I thank all of you for your patience in working with me these past few months and I do wish you all great outcomes in your adventure in realizing your goals and dreams. 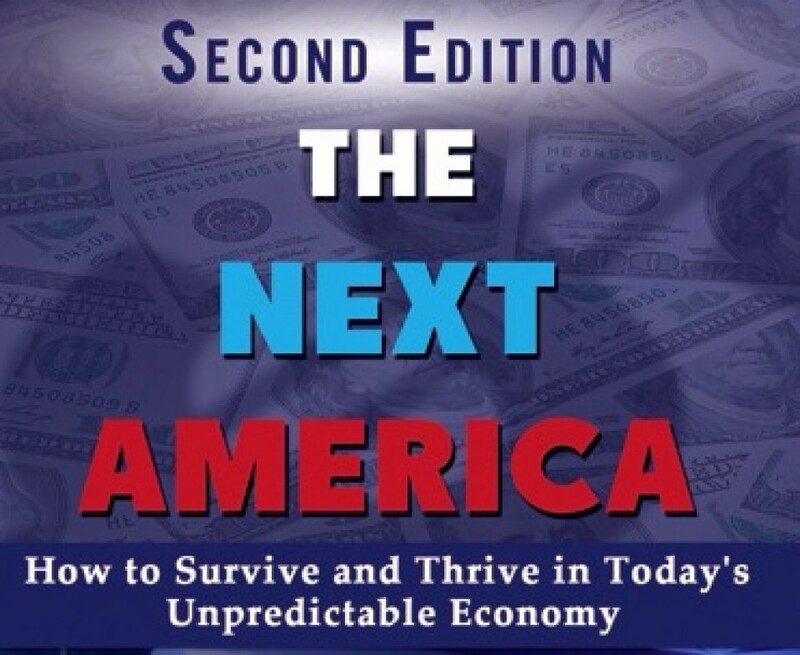 Please take the time to help me build awareness of my latest book “The Next America-Thriving and Surviving in an Unpredictable Economy.” by signing up to blast this out on your own social media on the campaign date. You don’t have to buy anything and once you enable this link, it will do it on the date for you, pretty easy no work required. Thanks so much for supporting my book and my concepts to help us rebuild the American Dream! I am going to be attending a few of the events in relationship to Business Facilities magazine’s Live Xchange conference for site location opportunities to meet local economic developers. I will be taking part in the Tuesday morning Site Location Panel for their audience to discuss with me the current trends of Tourism Economic Development and the positive impact such projects can have on locales. Over-all the economic outlook for Tourism projects in 2015 is much stronger than the previous five years. Investors and companies alike are once again making significant investments into these cash cows. I saw this email solicitation by IEDC in my inbox… So, I just couldn’t resist the temptation to start 2015 with some practical advice to my fellow economic development colleagues and clients. Here is the email promising transformational pearls of wisdom on how to handle one of the biggest problems facing our nation and of course locales… Ineffective Political Leadership with self serving underlying agendas. Ronald Reagan said our Republic and Freedom is always only one generation away from extinction and failure. The preservation of our ideals is up to each generation. It is absolutely true of these times. In my 25 years of dealing with politics and in particular the politics of getting business deals done, I’ve not found any consistent methodology that works that folks would want to publicize. The truth is you have to lake it all about the politicians tell them grandiose stories of wild achievable success when you have no real clue if it will come true and then convince them they’re insulated from public opinion risk and that your deal has nothing but upside! Of course all of this is not true… But politics don’t work on truths it is driven purely by ego. The ego only feeds on the power of popularity, self indulgence and improving the politicians own potential positive outcomes both politically and economically. To transform politicians to your agenda you need leverage, hubris and a great story that their constituents will support. So How Did I Get Here and What is Next? Posted by economicdeveloper in How Did I get Here and What's Next? Baby Boom Question of What's Next? Most of us in the baby boomer generation I think have and are probably still pondering this complex question. Our parents did not prepare us for the eventual failures that our generation seems to be inheriting and our feelings of being somewhat lost and having lost control of our own destiny. So this question is and has confronted most of us from the Baby Boom generation. We had never envisioned that our age now, we would be virtually wiped out financially, have no job security and even question the opportunity for us to end up OK in general. We always were led to believe by our parents (The Greatest Generation as coined by the media) that we were special and our future was nothing but bright. Yet today most of us feel unsatisfied with our current plight and insecure in our own economic stability and are losing hope that we can even turn our lives around and get them back on track to salvage our very legacy and give our spirits some respite. This complex question is the basis for my next book. I am going to address what I feel are the driving factors of how and why we got ourselves into this predicament and what concerns we rightfully should have for our future and how to get us back on track. It will be brutally honest and by no means am I a role model of what you should do. I do feel my own life has been just as dramatically impacted by the negative forces and outcomes as most of my friends, family and others generation members. I see this everyday in my own Facebook Family of Friends posts. So, I feel compelled to take on this subject and do my best to make it understandable and allow all of us Baby Boomers to know we are hardly alone in these feelings. Also, as I try myself to find my own path forward after the global economic debacle of 2008-2013 (The second Great Depression) I will give my own ideas of how we might move forward and get all of our collective interests back on track and eventually hopefully feel some sense of accomplishment and less stressful dispositions of our very nature and spirits as a generation that today feels quite lost and betrayed. As always as I develop and write this book all of you are very welcome to confidentially share your own stories and concept on this topic… as that will help me formulate this story from the best perspective beyond even my own. The Power and Potential of an Exponentially Connected Market Place of Highly Action Oriented People… how $20.00 USD could change your financial future exponentially! This experiment is based on the inspiration many of us are aware of with the success of the Jerry McQuire Movie slogan… “Help Me Help YOU,” and the Pay It Forward Movie and story developed several years ago based on the simplicity of human innovation and initiative. There is very little risked financially in this experiment and it is based on our own character and initiative and trust in those that we are in contact with regularly to each spend a small amount of their money approximately twenty dollars ($20.00 USD) in our relationship. I am initiating this on the Internet so it may be adapted and used by far more people than I realize by the time you get your own personal invitation by me or any number of your friends. Everyone knows that there are a gazillion (not a word I know that) different ideas being hyped by a sorts of folks. There are offers everyday for us to participate in some scheme that offers to get us rich and successful. Most people fall into one of several categories of characteristics when it comes to their own initiative to improve their economic condition. 1.) Naive- they either fall for the best laid out marketing pitch and continuously hope that if they respond to enough sweepstakes and/or multi-level marketing opportunities that hopefully eventually they will hit it big. 2.) Lazy- They aren’t willing to actually take any real significant behavior changes that will or could result in their becoming better off by actions that they must be accountable for driving. 3.) Disbelievers- They are pessimists and negative people in general and for the most part blame others or circumstances that they feel are beyond their control that have created their plight in life. 4.) Driven Resourceful- These folks are the ones that evaluate each worthwhile circumstance and then determine how or if it is something that they are willing and capable of embracing in order to realize a measurable gain that is worth their investment of time and resources. They typically are very well read and versed on continuous self-improvement. These folks are also accountable and dependable and not prone to making excuses when they do fail or fall short of someone’s expectations. They learn, adapt and evolve daily. Now, let’s look at your own situation. YOU have been chosen to participate in this donation based pay it forward crowd development funding program because the person that has sent this to you, believes you are characteristic type number four (#4). The first thing you have to realize is that in every situation there are pearls of truth and opportunity even if they are overshadowed by or surrounded by dishonest and non-factual information. The entire conversation of the proverbial Ponzi-scheme is just such a subject. There are a ton of ponzi schemes that are just not based on genuine opportunity or realistic about how many people will participate. But in life it is our ability to innovate and combine concepts even those that are failed and/or flawed that creates the genius of human innovation and initiative. TODAY this is your opportunity to consider becoming part of a strategy that I feel could work to yours and all of our best interests economically. It is not designed just to make me and./or you or anyone else rich on a lopsided basis… rather on a fair mathematical calculation that rewards all of us for taking initiative. It also depends on each of us being successful at picking ten people that we know well to make the same investment we are making ourselves and not break the chain. If you fail to hold up your part of the long line you will harm everyone else… So, failure is collectively dependent on each of us knowing and picking ten dependable people that will pay this forward and take the time to pick ten people themselves that will do the same. Now, let’s discuss the enormous investment that will create this tremendous financial donation opportunity. This is an old school process combined with the power of the digital era social media driven capabilities that most of us have at our disposal today. Print off these instructions and include your list of with your name at the top and then additional ten names moving my name down to the second position with nine additional names that you add from your contacts. Make sure you include the address of the top name (Yours) with your address and then write my name on the second line with my own address and fill in your next nine names with their addresses. Cost of ten sheets of paper $1.00 realistically much less. Mail this sheet to your own top ten people with the same instructions as above… each time the person receiving it creates their own list and places their own name at the top of the list, then moves your name and my own name at the top of the list down one slot and removes the eleventh name from the list and instead replaces their own persons name into the spot below their name with that person’s address and repeats the cycle independently for their ten contacts. So when they are completed they should have ten envelopes with each envelope having one contact uniquely from their friends list on the list along with their own name, the person that mailed this to them, and the second name on that list on each list, plus their own unique friend’s name and then the next slots filled with the other names on the original list removing each time the eleventh name when they create the list. They then must mail this to the ten people individually with a $1.00 bill inside each envelope. Now you have invested $10.00 of your money realistically. Some people may try to increase their odds by mailing more than ten envelopes… that is their own decision. Of course the more you risk the possibility for gain probably increases if you can pick people that will actually be dependable enough to follow through with this effort. You see the vast majority of people I believe talk the talk of wanting to be financially successful but won’t invest even a meager risk of less than $20.00 to possibly change their economic outcomes. So, this comes down to the power of persuasion and the power of perception. If you believe you can pick ten people willing to invest their own $20.00 in this effort you could make this and a bunch of other people’s day within the next 30 days. if you do the actual math on the possibilities it becomes very exciting… but math is based on probability of certainty. In order for this to be successful for all of us, you and your top ten picks must be credible and willing to take the same initiative that I am challenging you with today. If we are all successful in supporting our network with our own twenty dollars $20.00 USD and not breaking the chain this could be a very lucrative effort for each of us equally at risk and equally positioned to gain the same if it works with our own power of perception and picking ten dependable and action oriented folks to do the same as I am doing with you and also trusting you to do the same. The next element is timing… this is scheduled to take a positive impact within each of our lives at full payout over about 30-45 days. So in order for this to happen in that time frame, you need to get this done and mailed out within three business days of your receiving the envelope in the U.S. Mail. My additional suggestion is that you email this to the top ten people you are considering and get their email verification that they are willing to do as instructed and not break the chain before you mail it to them. If they tell you they are not willing to invest the time and $20.00 then don’t send them the physical envelope with the $1.00 USD dollar bill in it. Send the email to someone else you think you can trust to do as requested until you get ten responses that are willing to participate and invest their own Twenty dollars ($20.00 USD) in our chain of wealth. Within thirty to forty five days if this works as I have tried to calculate it with basic math, each of us should be far better off than what we started with in our investment. I think in my unsophisticated opinion (meaning I am not an expert as determined by our government in investments) this should be capable of returning your twenty dollar ($20.00 USD) investment about six levels of exponential growth, possibly even more. So, 1.00 times 10 people, times 10 more people, times 10 more people, and so on until our name is dropped from the list equals about 1,000,000 or more variables if it goes with the chain unbroken along the path as we are attempting to do so… thus the pay it forward old school wealth chain should pay each of us a pretty handsome return on investment. You can do your own math but if it worked my own math returned a number in excess of Ten Million dollars… ($10,000,000.00 USD). Here are some obvious disclaimers…. 1.) This donation of twenty dollars ($20.00 USD) is totally at risk and it is not an investment by some structured organization or corporation but more of a collective cooperative similar to the Amish coming together to each help the other with major work loads. 2.) The monies spent are not tax deductible to my knowledge as I am not a tax expert and the recipients are individuals not corporations or at least that is the intention of the campaign. Therefore, everyone who receives money from this is individually responsible to declare such income as taxable monies on their fiscal year tax return for the period of time that they receive the monies. 3.) None of us are making any legal representations to the use or viability of this effort… is an honor and character based effort to each help some of our friends and colleagues. There is a possibility that your name may get on the list somewhere down the line by someone you had not thought of, but that risk is something you have to bear in order to keep the chain going and probably won’t be more than you can afford… it it is then don’t respond to the next request, and/or if the person follows the instructions and emails you first, just tell them you have already been a participant and that they should go to the next person on their list. Caveat… if you choose to remain on their list then you are responsible for doing the same steps over again and not breaking the chain and you are accepting the same risks yet again and thus they are increasing your own risks at least at the same amount of your reward potential. So that is your own individual choice made with no prejudice by the person asking you. So if this works out we will all help one another more than probably we each thought possible… and it should be a fun experiment in the power of social media combined with our own instincts of picking people with the character, conviction, initiative and vision to see something through for the potential of experimenting with human ingenuity and our desire for satisfaction and self-generated success and wealth. Here is the bad news. Apparently the US Government would rule that this still might fall under the 1935 Chain Letter Ponzi Fraud Act, so I don’t want any of us to break the law. Don’t use this formula because it could get you in trouble. I may not agree with the interpretation but I can’t risk any of you or myself getting in trouble with Uncle Sam over this. Hello everyone. I wanted to pass this along to each of you that have connections to me on the various social media connections we all utilize together. I have been asked by my Publisher, Motivational Press to do a 1-day (24 hour) special promotion to all of my friends and contacts on social media. I want to be very transparent in why I am requesting this of you. I also want to share personally with you Why it is VERY IMPORTANT to ME! I really do appreciate each of you and your comments and support you have shown to me over the years. I am ASKING EACH OF YOU to go a little bit further for me on SEPT 12th (TOMORROW). I write books to express my own feelings, to reach and connect to people so that we can collectively make a difference on the topics I am passionate about… but also to gain understanding and endorsement from all of you that this is valuable to you. I seek compensation from my endeavor because it is part of my actual livelihood. I have dedicated most of my adult life to working on projects, ideas and strategies that can improve people’s lives. There is nothing more fulfilling than to know you appreciate such efforts. Author’s write to be heard, create a voice that will make a difference and to make a reasonable living working at what we are passionate about. Because it will allow me to jump my ranking up on the Amazon list significantly since it is based on sales per day… this will allow me to sell more books and reach more people with my message. Next… I have a special offer for you… if you purchase my book on Sept 12th 2014 and do a review on Amazon with a star ranking and a short comment I will fully refund your $1.00 purchase price to you. Of course you do have to provide proof of purchase. Because your reviews will help me optimize the search engine on Amazon to get my book “The Next America-How to Thrive and Survive in an Unpredictable Economy, 2nd Edition” noticed in google and Amazon searches. There is another book with the same beginning of my name for my book, which creates confusion. My book with this name came out originally in 2011 so my name predates the other, but none the less, it is creating confusion for my fans and friends that want to find my book. Your reviews will make my book stand out. This is the power of social media… it’s why we take the time to connect with each other, so that we can actually help each other. I am SO VERY BLESSED to have so many connections. PLEASE TODAY take 1 minute of your time and help me and in return I will return you money to you for your kind generosity and for the small amount of our valuable time you have loaned to me on Sept 12th. Thank you in Advance for what I am sure will be a huge success tomorrow Sept 12th to celebrate my books message reaching far more people! Yesterday,I had a fascinating discussion with a new friend of mine I met through social media. He is the Chairman/CEO of an investment Banking firm on Wall Street. He and I found much common ground on our views that Wall Street and Economic Development need each other. In fact both would find greatly enhanced success by collaborating on new tools to revitalize and monetize economic development projects . There are many examples of Corporate Tycoons and Wall Street savvy icons that have decided after having been blessed with great wealth, they feel compelled to create some lasting legacy to give back to society. Perhaps then the future of the economic development industry would be better served if Wall Street drove steered the engagements. After-all it was not the various levels of our government that pulled us out of the last enormous global financial crisis. It sure wasn’t the various economic development practitioners that came up with innovative solutions unfortunately. In fact, both might have actually exasperated it by their actions or lack of action . On the other hand Wall Street reinvented itself, recovered and has again soared since then. Wall Street is driven by risk and reward quick decision making. Traditional banking has failed to make the capital markets readily accessible to small and medium businesses. The IRS has spent the last five years bullying and penalizing the very engine of our growth small business owners. Entrepreneurs have been pushed to their limits to stave off the IRS and rebuild their ability to stay afloat. Thus to cut to the chase what has been done or our current system is not working for most of us in the business sector. So in the spirit of American ingenuity it’s time to create a better method to drive economic development projects and the capitalization process they need to meet their growth needs to be vibrant and competitive. Wall Street should harness their vast skill sets to mobilize and create capital to invest, where the old school economic development industry has failed . To those given much we expect much of them… I call it Prosperity with a Purpose! Wall Street can bolster the American spirit of Patriotic innovation and drive the rebuilding of our nation at the local levels, where all economic development begins. The investment industry is best equipped to create the tools that will allow all of us to play a reasonable role in rebuilding America. Many people are already being enticed to cause related consumption and reward systems, so the idea is not without merit. Wall Street can best create market makers to manage tools that will monetize our economic development project resources. With the proper relationships developed the public sector can and will still have a role. In fact their own catalyst projects may become far more realistic in a Wall Street driven economic development revolution. The benchmarks to create the goals for such investments remain those critically important to most Americans. The creation of dignified living wage jobs, new career opportunities and better quality of life in thriving and robust communities. The local governments would also gain much needed economic stability in their tax base. Our nations economic growth would no longer be jeopardized and tied to political antics aimed at reelection. The process of launching new growth investments would be better served and risk would be better understood and mitigated. This will not alleviate the need and use for special incentives. However, it may create more realistic use of such incentives. The business cases would be better vetted and those projects too risky for funding would most likely not be brought forward . By opening economic development up to Wall Street they will be far more capable and efficient at creating tools to monetize economic development funding and public sector contributions. The private capital markets will find ways to use our general population as a resource to assist in creating funds to fuel the American Rebirth of strong growth. They will create investment tools that will allow everyone to participate in investing in America’s rebirth of economic dominance. By casting such a wide net investors will have less overall exposure to risk or being wiped out. In addition, investments will have a proven capital raise process and easy exit strategy through the stock exchange network. America is a capitalism based society so let’s harness our best capitalists to drive our economic development revolution from Main Streets to Wall Street. It’s the American way! It would save our greatest assets such innovation, entrepreneurial growth and the hope of living the American Dream from being squandered and plundered by our politicians. To could free us of the yoke of out of touch politicians that create oppressive rules and requirements for our lives. The politicians though are exempted and get to live like rockstars on our hard earned money they convert to taxes for their own follies and junkets. It’s time to privatize economic Development and restart the huge untapped potential of American economic potential. Let’s shed old school paradigms that haven’t worked to our best interest in favor of what will work. A system that caters to us and our abilities and rewards us for investing in the forward momentum this huge economic change would create for all Americans! Oops with the exception of those benefiting from the current system at our expense. In my recent blog post “Are Deal Incentives Killing The Economic Development Profession?”, I attempt to shine a light on how the above practices may be having a negative impact on the economic development profession image. I am genuinely concerned that if www continue on the current path the profession will pay a price. I believe it will be increasingly hard to encourage the best and brightest to enter and/or stay in economic development. Given the importance of the profession to our national economic prosperity, this should be a topic of interest to everybody involved. I don’t profess to have answers. But I am trying to highlight some of the right questions. It is a debate I encourage you to enter and share your thinking/experience. To be clear, in no way am I trying to make the case that incentives or aggressive competition will (or should) go away. I am suggesting though that there is an accountability to better enabling our residents to achieve their American Dream that needs to be considered in deal making and a set of ethics that should guide competition practice. I think the economic development industry has been at-risk for the past decade or so, but for some very different reasons. The impact of what Ed has mentioned here is part of the outcomes of a far more dangerous problem that is underlying the entire industry. Economic Development has become far more dependent upon government funding over the past 20 years than the original public-private initiatives that were in place when I entered the industry nearly 25 years ago. The result has been all of the organizations are now forced to sing for the their supper or public funding or risk being cut off and thus ineffective. In addition, the skill development of economic developers getting their hands dirty and rolling up their sleeves and working on deal financing options has grown morbidly and woefully weak. Most economic development professionals with ten to fifteen years experience now… that I meet have very limited ability to help create a deal incentive that can be monetized to make the financing more possible to cover the desired capital costs of the project. If their skills are present they have not shown much desire to engage and use them. What I have seen is more and more cheerleading and expecting the private sector to come to the table with a ready to go financing in hand project. This means many smaller companies get little if any assistance in getting their funding in place in a reasonable time period. I have heard this over and over again from business owners in the small to medium size group. The EDO’s aren’t interested in base hits they are looking for bleacher reachers… homeruns. Economic development has always traditionally been a hard job that gets involved in solving the business issues that will grow their economy. Today many of the younger economic developers are not getting the training they really need to ultimately be successful. In addition, the old avant guard of elite economic developers with the amazing skill sets I speak of are retiring and some becoming consultants. The issue in Texas I believe is actually a healthy situation for the economic development industry. It will make poor competitors sharpen their skills or face losing to major competitors. The competition is a healthy way to force economic development professionals and those they represent to improve their skills, begin to create better incentives and make sure their business climate is competitive and aligned with the cost of business requirements of today’s global economy. As in all capitalism based issues, the weak will lose and the strong will prevail and grow. If the economic development profession does not address this growing weakness in actual skills by their professional economic developers then the impact of such lack of leadership and acumen will result in many businesses going to those that can and will assist them… as they should I might add. Also, the deals that they do go after may be unhealthy risks and could result in the loss of local capital that might cripple their ability to compete in the future. The Tesla deal in Nevada could prove to be just such a situation. The only question I would have is why was Nevada really chosen over Texas? Was it because Nevada was the right business location or was it because Nevada mortgaged the state to get the deal far above what Texas and others thought was realistic or merited? Yes, we all know the raw materials are here but those can be transported quite cheaply to the necessary site. One has to question if Nevada sold the farm to get the cow. I am not saying that such an investment and calculated risk is not sometimes necessary or merited, but I would hope that the young crew of economic developers on the Governor’s team did their homework. Some deals are really worth the risk, but such risks have to be calculated none the less and the calculations need to be done correctly. Only time will tell if this is Nevada’s BMW deal like South Carolina, or the Honda deal in Ohio, or the Toyota deal in Kentucky or the Mercedes deal in Alabama. In those cases the transition of those states was very well worth the investment. But with Mercedes coming out with their new E class and S class hybrids that will surpass the mileage of the Prius and BMW coming out with the I3 and the I8 it could be a very risky deal for Nevada. The greatest challenge that professional organizations such as IEDC face is the proper education of their new entrants to the industry and the improvement of their skills so that they can become proficient. These organizations are the elite hang outs for economic developers to learn their trade, refine their craft and find and adapt their own situations from best practice examples. But sadly, even though the number of classes as increased exponentially since I was a young new entrant to the economic development field, it would seem that the competency has actually declined. Today many economic developers have been referred to as no more than cheerleaders and savvy say anything marketers for locales with not much substance or depth at problem solving. I hear this over and over again as complaints about professional competency seem to be on the increase. So to use a term to celebrate the annual conference of IEDC, it is something akin to a Texas saying, “They are all hat and no cattle.” If the economic development field wants to become more relevant to the business community and not just glad handers and back slappers for politicians they have to improve the ability of their ranks to become and be problem solvers for those that make the investments into local economies and hire people. While I believe this analysis may be taken wrong by some professionals that are blindly loyal to the fraternal nature of their professional membership groups, it is meant as constructive criticism to enlighten them to work on their A game. The fate of our nation depends on not just our spirit and innovation of our people, our ability to keep our government in line with our founding fathers principles and the ability of our cities to remain vibrant and recreate themselves when faced with adversity. Economic Developers play a crucial role in the success of our nation creating jobs, retaining jobs and remaining globally competitive. Economic Development Incentives 101- Case Study on their Use and Approval Process. Every business needs to understand when to use experts on financially getting them the best deal. Using a performance based consultant like myself can greatly enhance your access to capital and the return on investment you receive from your investments. I also look for ways to reduce your cost of capital by leveraging economic development incentives to reduce your front end risk and your cost of capitalization. How Did I get Here and What's Next?